Sabrosa's Culture is all about you! Our energy level, our ability to stay healthy, and our well being is directly related to our diet. We are commited to providing the community with the tools needed to succeed and live a life of wellness. 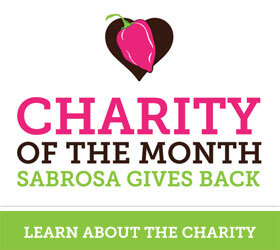 Every month, Sabrosa gives back to a local charity. Send us a message on facebook if you have a charity in mind. At Sabrosa, we believe in helping others and making a difference within our community. Our belief in this idea is so strong, that every month we donate to a local chairty and other local associations. Our Corporate leaders, managers and staff combine efforts to support our local charities. Our team accomplishes this charitable program by combining the receipts of the 1st customer of the day and the daily "charity tip jar". These funds are placed in a special fund each day and at the end of the month a check is written to a local charity utilizing these funds. Our goal is to help local charities and organizations in the Long Island area.